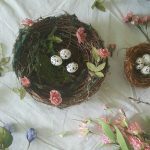 Welcome to our Spring Craft/DIY Extravaganza! 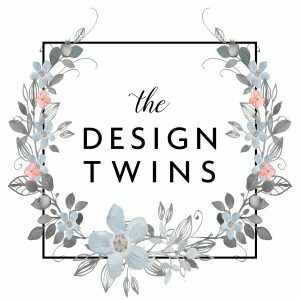 Julie and I are THRILLED to be sharing our stencil project as we join a stellar lineup of amazing and creative bloggers! Be sure to scroll all the way to the bottom to see all the inspiration. Thank you to Janine of Happy Happy Nester and Tana of Your Marketing BFF for hosting such a fantastic tour. 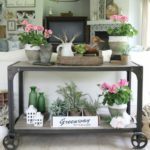 If you are arriving from Christina CG Home Interiors a special welcome. Didn’t you just love her project? 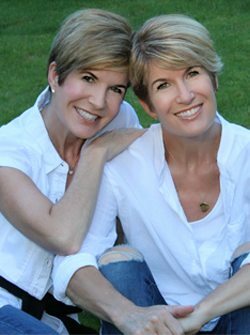 Jules and I are huge fans of Chrisina’s and are tickled pink to be on this blog tour together! 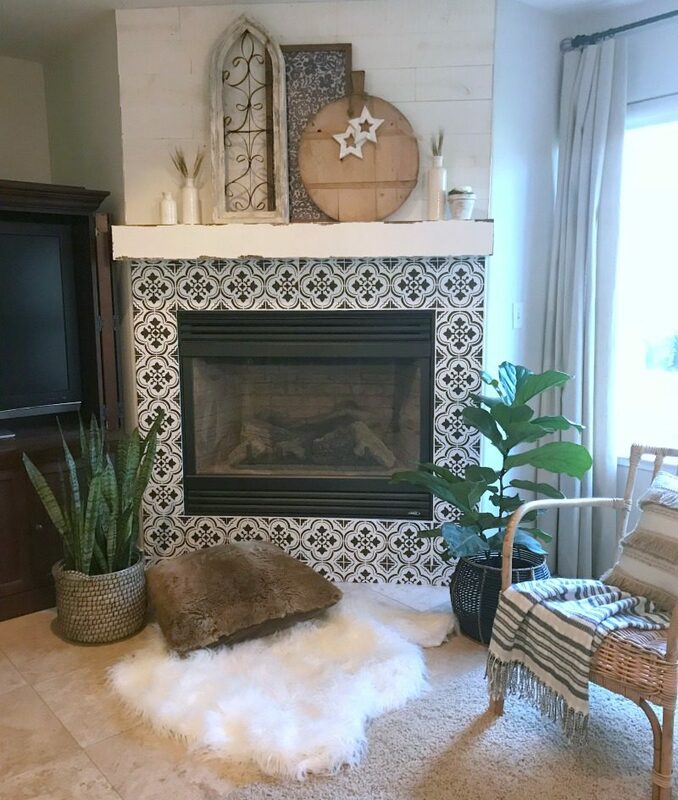 Additionally I’m more convinced than ever that this is a great option for anyone who has a fireplace surround or any surface that they aren’t in love with!! If you’re looking for a wow of a makeover for a small price tag you’re going to love this option. It’s so easy, versatile, and best of all budget-friendly! There she is!! I am usually rather modest. But I can’t get over the feeling of how proud I am of this stencil project. I think I’m still in shock that I did this all by myself! In person it really looks like I have beautiful new tiles. Buying and installing new tiles was an option I considered. At one point I pictured spreading grout and laying new tiles myself. Actually, I considered many different options, but with each option I found problems I couldn’t resolve and price tags I couldn’t justify! Now you might be asking yourself…what’s wrong with this? For someone else this might be fine. But you’ve got to admit it’s pretty bland. It doesn’t really command attention. We always felt uninspired! Luckily my husband felt the same way, so when I suggested changing it he didn’t protest. Designer Tip: Most paint stores can match color information from other brands. 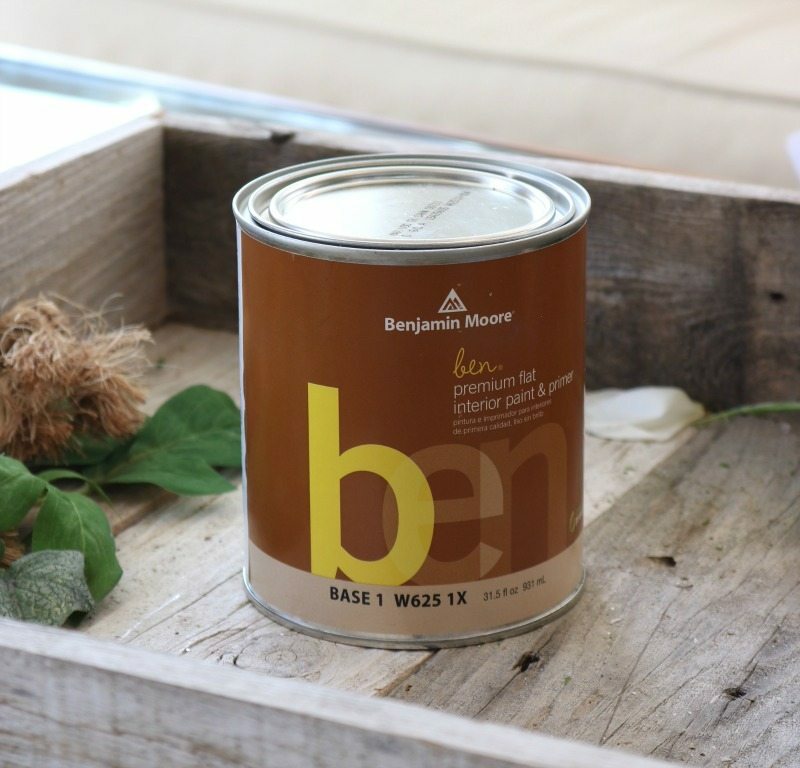 If you like the colors I used and don’t have a local Benjamin Moore store you can head to your local paint store, and they can most likely do a color search and match of the above colors. Start by washing with T.S.P., giving the surface a good scrub and then rinsing and drying well. 2. 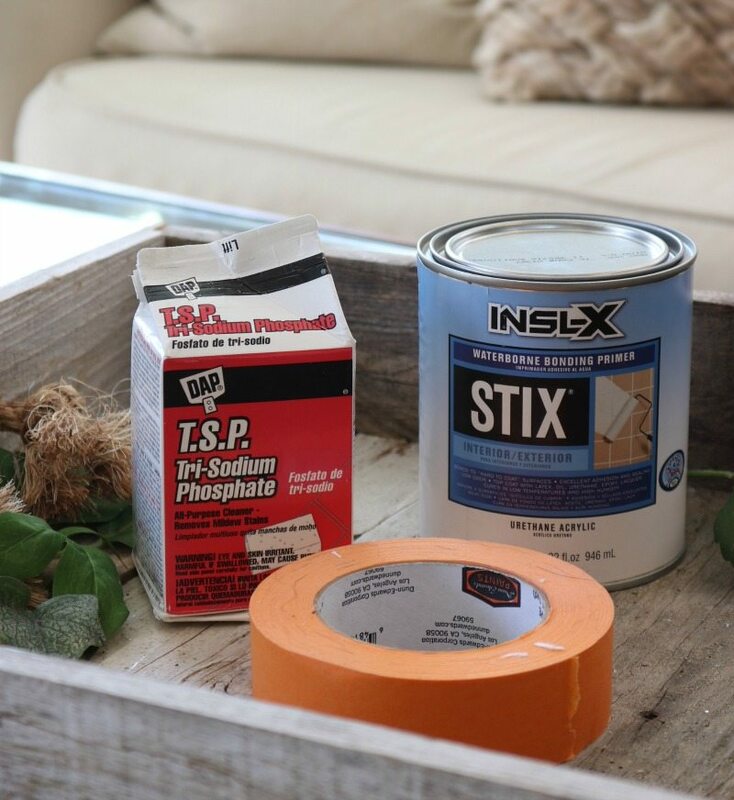 Time to tape off all the edges and make sure your surfaces are covered with drop cloths. 3. Paint a coat of primer. “Stix” primer was recommended by the stencil company and all the resources I consulted. 4. Next I painted 2 coats of the base color using Benjamin Moore’s basic flat paint, Ben, in Snowfall White. Finally I was ready to stencil!! Depending on your surface you may choose to start in the middle or on the edge. I wanted the pattern to line up on the sides so that is where I started. Use a spray adhesive like “Scotch” to spray the back side of the stencil and guarantee a tight seal of the stencil on the wall. You can also use tape along the edges. I used both. As far as finding the best technique for applying the paint I tried it ALL. The main thing that you want to find is a balance between enough paint to reveal a solid pattern and not too much paint to create a blurred or bleeding effect. I tried rolling with a small firm roller, but it was hard to get at the smallest details this way. I would finish with the flat head stippling brushes to get into the details. Sometimes it came out perfectly clean, sometimes it bled. It was really hard to find a consistent method, so I just pushed forward with the idea that I could make corrections at the end. After painting each stencil I would wait a few minutes before pulling it off. I was working with two identical stencils so I could alternate between the two. 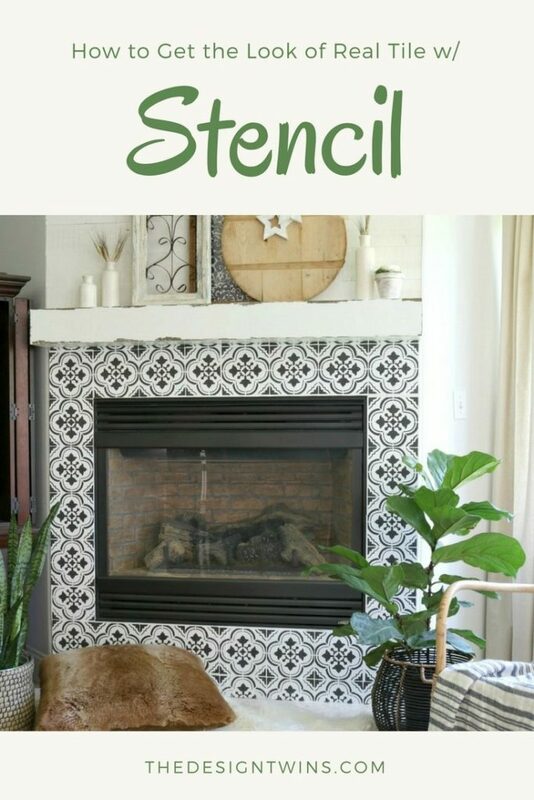 You will want to skip a space between stencils allowing time to dry (you won’t want to overlap the stencil on wet paint). For my project I started working on both sides of the fireplace and kept alternating back and forth. 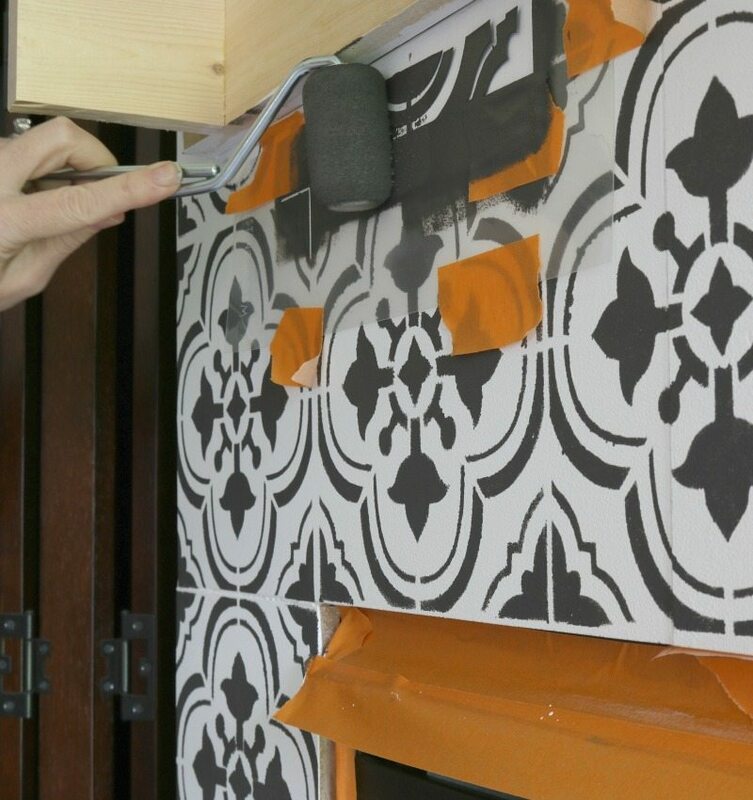 An important step is to lay the stencil paint-side down on a paper towel to wipe of the extra paint inbetween uses. This will really help with potential paint build-up and potential bleeding. When you come to the edge you will likely have to cut your stencil to fit into the corners or edges. As long as you have finished all your full stencil areas you don’t have to worry about cutting your stencil. Start with your biggest edge section first and work towards you smallest, measuring and cutting as you go. This is not as hard as it sounds! 4. When I was done I went back with a Q-tip and touched up a couple of spots that had blurred and a few edges that were not as clean as I wanted. The last step after the paint has dried is to apply a coat of the Acrylic Polyurethane. This is a fast and easy step. Yeah!! 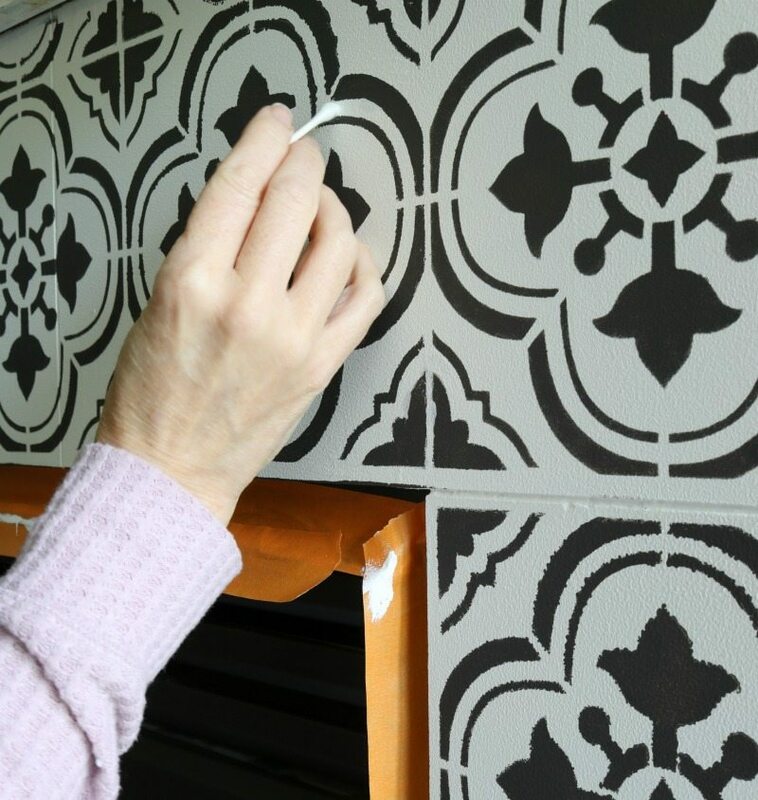 If you are applying your stencil to a floor or surface in a kitchen you will likely want to apply more than one coat. But for my purposes one was enough just to seal it. My Favorite Part….Time to Style! I can’t imagaine a DIY project more rewarding than this one. It turned a sore spot into a dazzling triumph I’m proud to show off. Adding to my happiness are the facts that I was able to do it all by myself AND it saved a ton of money. I feel like celebrating! 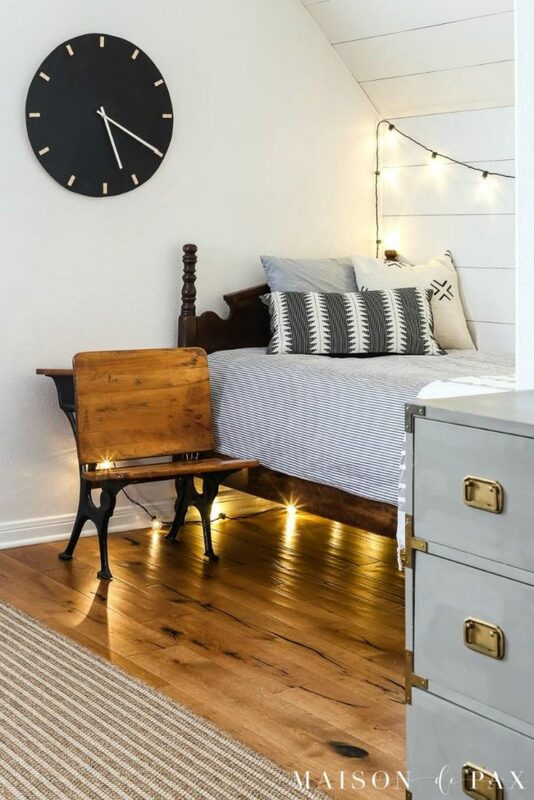 Next up is Rachel from Maison de Pax, and we know you are going to love her DIY Clock project! 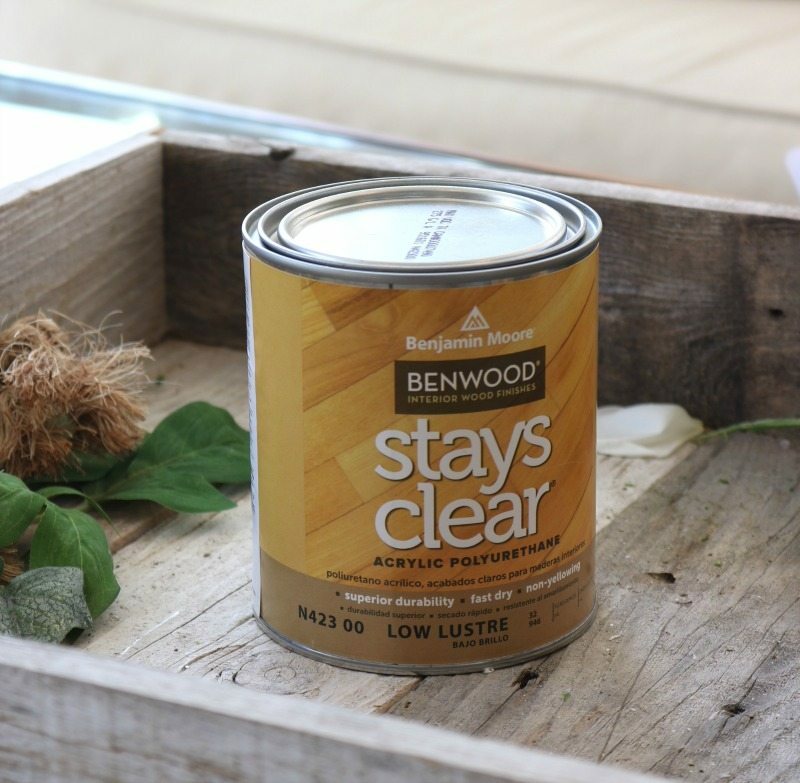 Our Chalk Painting 101, a Tutorial and How to Chalk Paint a Piano. Please leave a comment and pin to Pinterest if you enjoyed! Now, enjoy the rest of the tour! 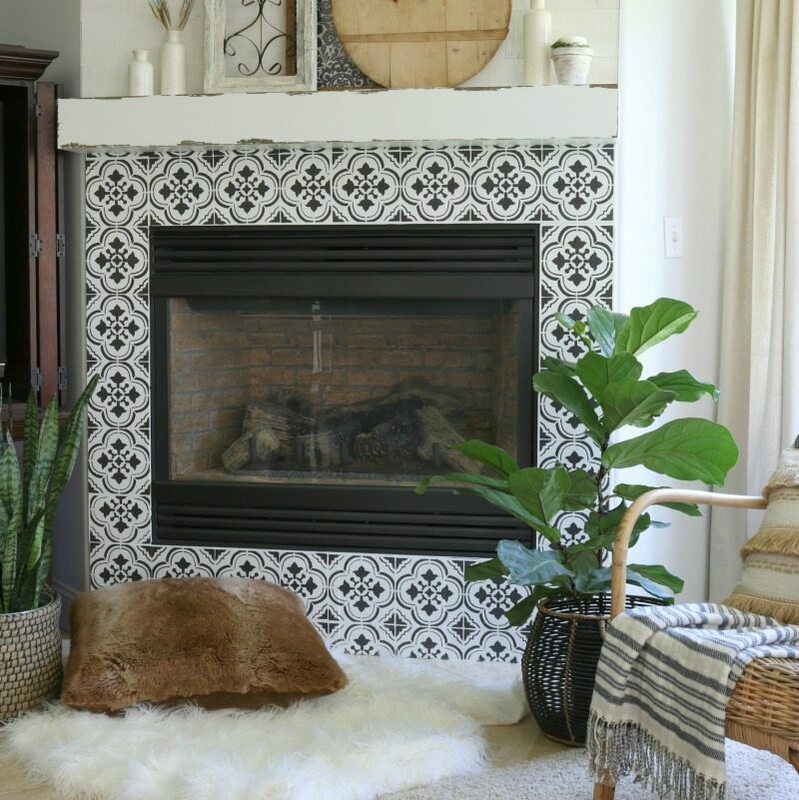 Learn how I used paint and a stencil to totally transform my fireplace! Follow my step by step instructions to easily transform any smooth surface easily and inexpensively! 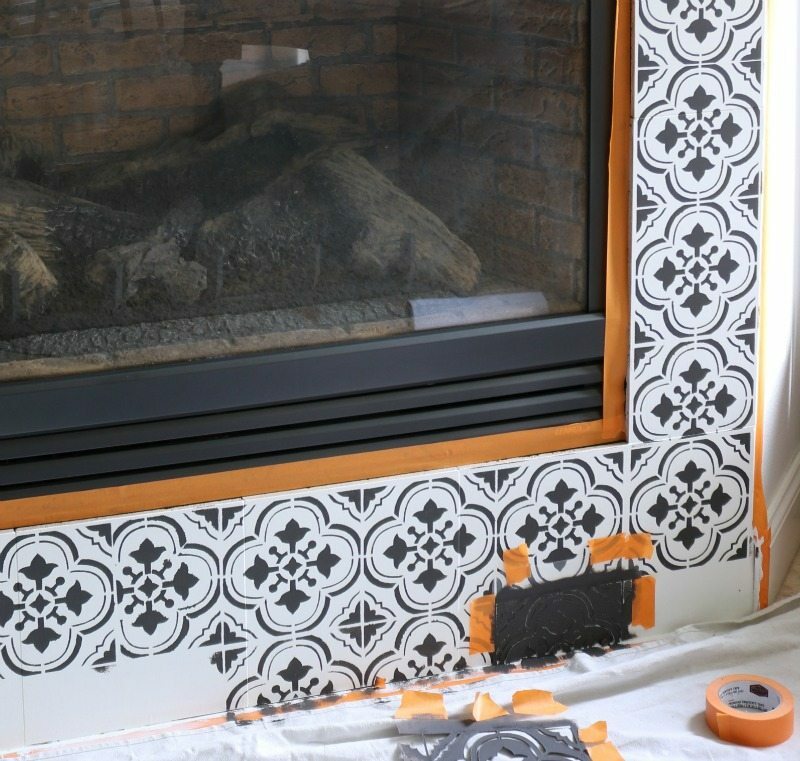 I’ve seen DIYers do this on floors and backsplashes but what a great idea to stencil on your fireplace surround!! Pinning this one for a project that I might attempt later! 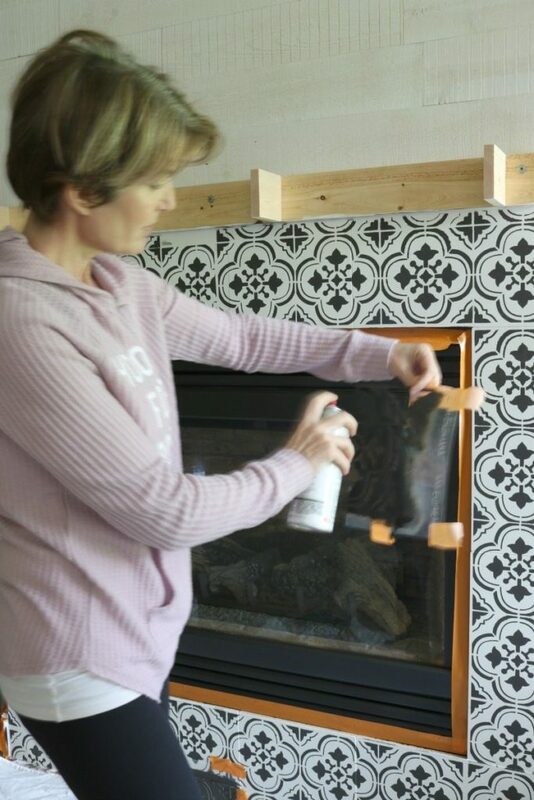 Wow – what a difference it made to your fireplace! 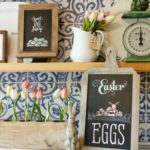 (And I love all of your reasons why stenciling is a great choice! So, so true). Your fireplace is so fabulous!!! Holy Guacamole, you nailed it, girlfriend! I keep looking out at our patio and wondering if I should tackle my project. I’ll just keep watching your projects before I decide if I have what it takes to do it! Thanks for the great post! What a huge difference, wow! Looks AMAZING, ladies!! Thank you for the sweet comment dear! We are glad you loved it as much as we do! Love you two! Absolutely gorgeous!!! 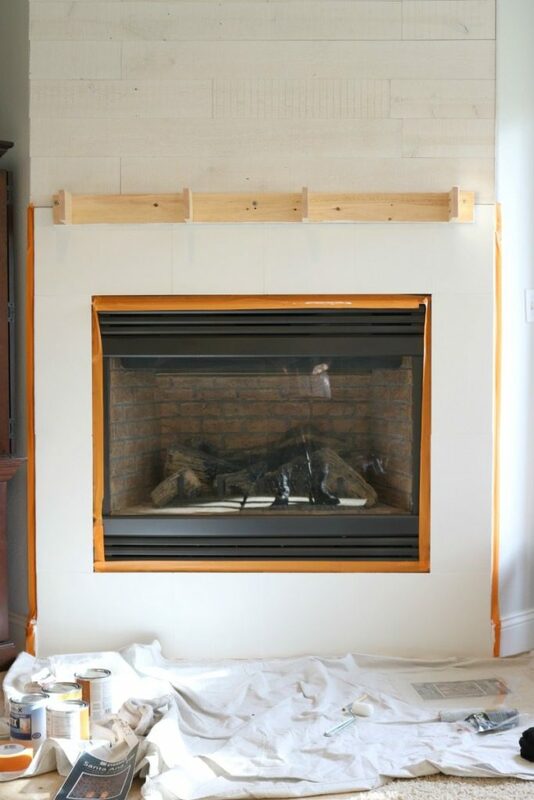 I’ve been wanting to do this to my fireplace (looks exactly like your before picture) but I’ve been worried about how the paint/sealer will react to heat. 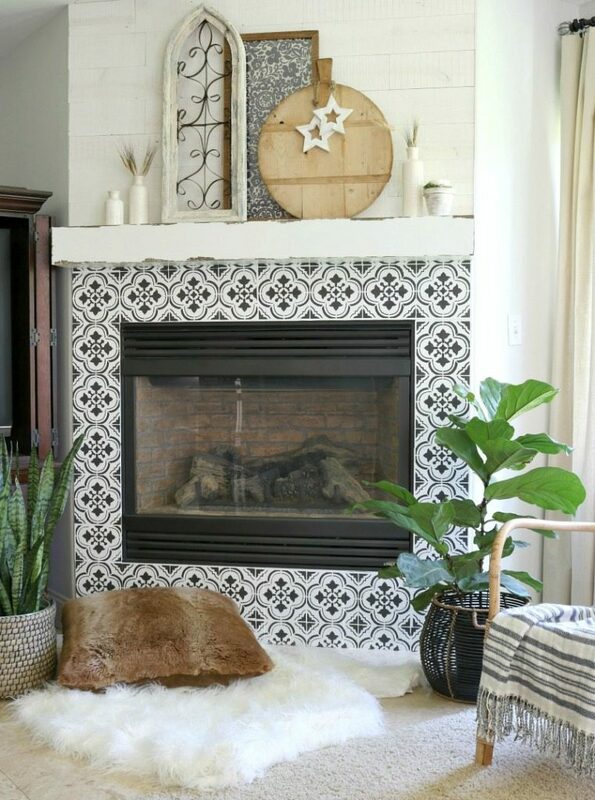 Do the surrounding tiles of your fireplace get hot to the touch like mine after a long time of being on? Will it bubble the paint? Thanks for the great tutorial! What a fantastic tutorial. I love the old world charm! My fireplace has no mantel so you have definitely got me thinking. 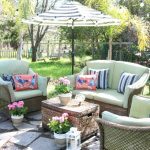 Thanks for hosting this linky party opportunity. So glad you enjoyed this post! We are glad to see you inspired by this idea! Hope you continue to enjoy our posts in the future! What a stunning DIY project!! It really turned out nice and very dramatic! I have a row of ‘ugky’ Tiles in my shower that I have been contemplating painting out. You have inspired me to do a bit more research on it. Jodie, this looks amazing, what a transformation! and I love how you’ve styled it as well! Great job! Your new fireplace surround looks awesome!! What size stencil did you use? 6×6 or 8×8? These tiles were hand cut so they are a custom size, which is 7.5″ x 7.5″, but they sell them as 8 x 8 I believe. Hope this helps! Whew!! So happy I found your tutorial! I to have uneven sized tiles and wasn’t sure I could stencil over the seems but yours looks fantastic!!! Thank you! !